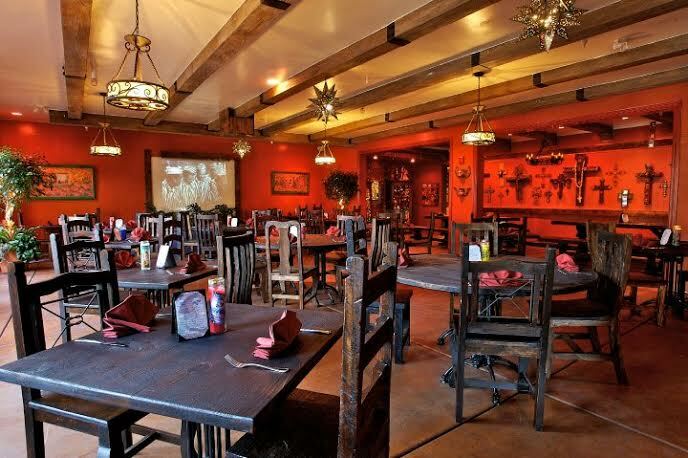 Walk into Ortega120 and you could be walking into a cantina in Mexico. It’s that cool. 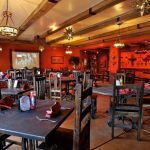 I was there for my freshman semester of Tequila University, the first Tuesday of the month, on the story and facts of Tequila…not the kind that had you hugging your toilet. This session was hosted by Hotel California Tequila. Yes, the house Tequila of the legendary hotel of Eagles fame. Turns out the hotel owns every trademark for ‘Hotel California’ except the song and the Eagles wanted to sell it to the hotel owners for $5MIL! Ha, they didn’t bite. Here comes Profesora Demi Stevens, co-owner of Ortega120, ready to school us. 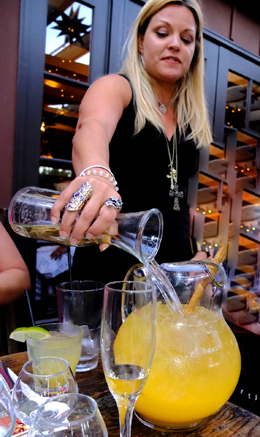 Demi has been in the business since she was 15 years old and knows her way around Tequila. As she says, it “her job” and happy for us that she does it so well. 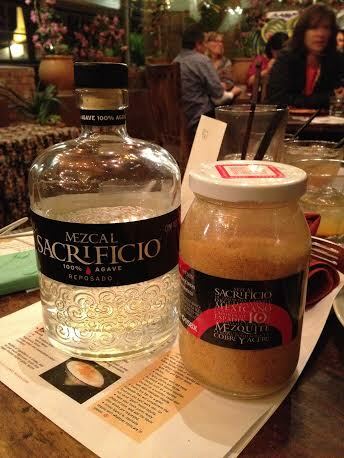 We start off with Ortega120’s award-winning Margarita which has a healthy 3 oz. of tequila in it and that’s just the first cocktail. There are several more to go and they aren’t mini! Tasty snacks are served to coat our stomachs but also to pair with the tequila. Totally delicious. Hazel, a regular student, has only missed 3 out of 72 classes. There are, understandably, lots of repeat students. Hazel has her PhD. 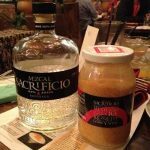 Tequila is the most highly regulated spirit in the world. Even more than Champagne…and that’s something. 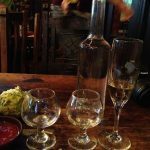 There are 1900 tequilas on the market from 146 distilleries. Whoa. When tasting tequila, if it burns your mouth, it’s bad, ‘dirty’ tequila. Tequila is only 59 calories a shot so drink away. Drink it neat. As you may heard, there’s a lime shortage, so anything that requires a lime will probably be a bit more expensive. I actually lost count of how many fab cocktails were served…maybe around 5. Demi ended the session with a detailed demonstration on how to make an Espicy Mango cocktail. Delicious. As ‘students’ filed out, Demi broke out a bottle of mezcal with her jar of crushed worms. Years ago, the only stuff you could find was cheap mezcal that had a dead worm in the bottom of the bottle that gave it a ‘certain caché’. The creepy dead worm was mezcal’s claim to fame until the good artisanal stuff started coming across the border. So, it was with a tasty shot that the evening ended in style! 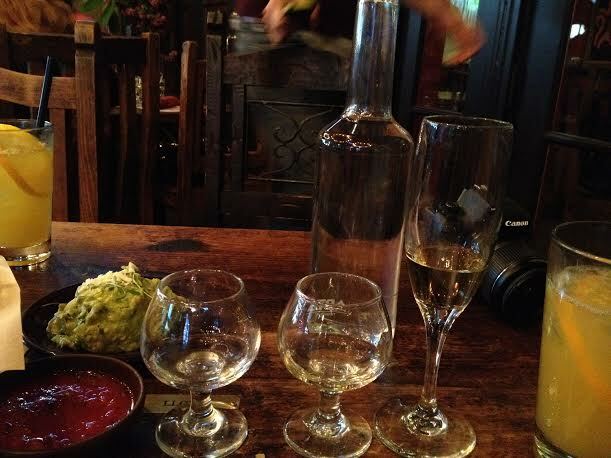 What a fun way to brush up on your tequila knowledge…by actually tasting. Sign up and get your Tequila U degree. By the way, Demi is planning to open a new restaurant in the South Bay this summer so definitely something more to look forward to!